Human beings are creatures of comfort and habit. I’ve noticed when teaching workshops within our group that agents will tend to sit in the same seat each time they attend a class, despite the fact that “assigned seats” most likely haven’t been “assigned” to that agent since they were in high school. Likewise, for those of you who have a gym membership and go regularly, I would bet that most of you have that favorite treadmill or elliptical machine. This small bit of comfort in a building full of discomfort can be soothing, particularly if you’re an early bird and find yourself working out minutes after waking up. The good news? Most of them will disappear by the end of January, and you can return to your normal routine. I mention this phenomenon because as we head into the final few months of 2014, it’s natural to begin looking back on the year that was. Hopefully as a professional real estate agent, you are working from a business plan that will easily allow you to measure whether you’ve achieved the goals that you have set. If you haven’t been working from a plan, taking what I called in my last article “the monkey bars approach” to business, then most likely you are considering adopting one, making positive changes to your business … next year. A New Year’s resolution, perhaps one of many on your list. Real estate is not rocket science, but it is not easy. I’ve seen many agents waltz into this industry with the attitude that they’ll soon be a top producer without having to do much work to get there, only to waltz right back out of the industry less than a year later. There is no magic bullet or formula you can use to instantly become a top agent. However, there are many “best practices” you can implement that will greatly improve your chances of success. These best practices are backed up by a great deal of social proof and a solid track record — which is how they became “best practices” in the first place. So why don’t most agents follow them? The answer is similar to the question, “Why don’t people go to the gym year-round?” As a society, we know how to lose weight and be in better shape — eat less, eat smarter, drink a lot of water and exercise five times per week. If you do those things, barring some medical exceptions, you will lose weight. You just have to make a change — and that is the first stumbling block. Change is hard, and status quo is easy. The easiest choice is to do nothing at all, or nothing differently. Because change is hard, these goals we set for ourselves tend to suffer as we procrastinate. “I am starting my new diet on Monday” is not far removed from “I will start prospecting an hour per day beginning next week.” They’re both great goals made with the best intentions. You just have to do what you’ve promised yourself you’re going to do. How many tomorrows must come and go before you finally make the change needed? How long will you look at the life that exists in this Tomorrowland, which seems like paradise compared to the existence you find yourself in, before you decide that you want that life? Yes, “good things come to those who wait,” but often those things are only what was left behind by those who did not wait. Planning is a key component to becoming a more successful agent, but be careful of “paralysis by analysis.” Having a business or action plan in place is fantastic, but it certainly isn’t foolproof. Indeed, a popular quote says, “Life is what happens to us while we are making other plans.” You cannot plan for everything life will throw at you; however, that is not an excuse for not having a plan in place. 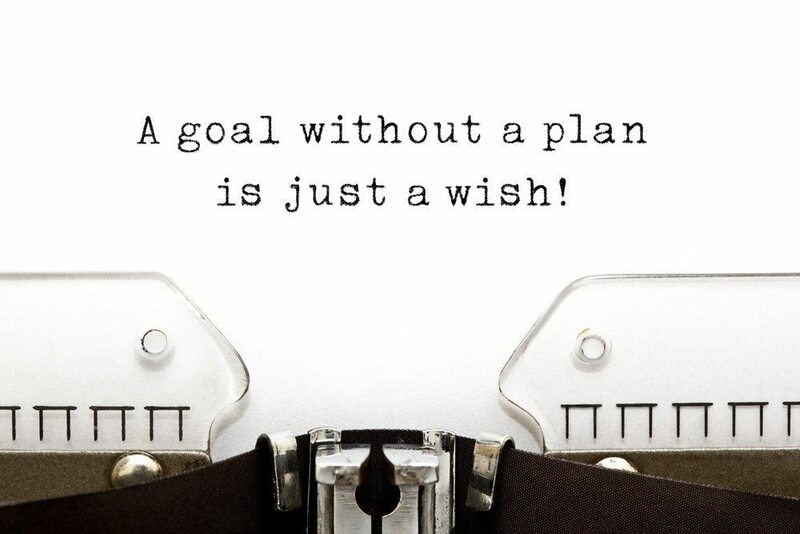 On the contrary, having that plan in place can help you weather the curveballs that might head your way. You may stray, but at least you have a point to go back to when that occurs. A plan also does not need to be extremely complex. Maybe it’s a general outline for your week, so that you can begin taking back your time from the constant interruption, suffering under the “tyranny of the urgent.” In the time that most agents would spend on Facebook in the morning, you can create a rough outline of changes to make in your business immediately, setting concrete, measurable goals. You can finally begin progressing toward the business model and practices that will help you not only achieve the results you strive for professionally, but also increase your overall happiness and career satisfaction as well. Bret Calltharp works as business development specialist for Metro Vancouver Properties, a multi-office Re/Max franchise group in Vancouver, British Columbia. You can connect with him on Twitter (@remaxjedi) or by email at bret@metrovp.ca.